Is she a Targaryen now? 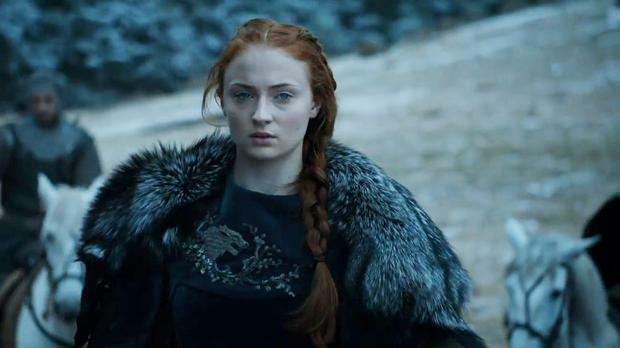 When you think of Sophie Turner, aka Sansa Stark, one of the first things that comes to mind is her fiery red hair. But the 20-year-old actress has surprised fans by undergoing a platinum blonde makeover. She showed off her new look on Instagram with the caption: "I did a thing..."
The colour is a drastic transformation from her trademark copper locks but the new shade really makes her ice-blue eyes pop. It appears that the actress has been secretly lighting her hair for the past few weeks as she was photographed at Comic Con last week with lighter, strawberry blonde locks. It's not clear whether Sophie made the switch for a new role or because she felt bored with her hair and wanted a change. Some fans are hoping that the new hairstyle is Game of Thrones-related and could hint at a Targaryen-Stark connection.